While its opening weekend didn’t fully ignite the box-office with precious post-apocalyptic petroleum, Mad Max: Fury Road did manage to blow away its audience. Besides the insane action, the film also seems to have provoked an intriguing theory about the nature of its protagonist. Of course, we know that Tom Hardy replaced Mel Gibson in the role of Mad Max, but could it be the case that Hardy’s character himself was also a replacement for Max? Highlighted in detail by an article on Nerdist, a theory seems to be spreading across the Internet implying that Tom Hardy’s version of "Mad" Max Rockatansky in Fury Road isn’t just another re-casted actor, but, rather, he’s a different character altogether! It certainly plays to the mythical allure that director George Miller has always imbued into the Mad Max films. Unlike the desert wastelands of the film, does this theory hold water? The tin-foil hat rabbit hole goes deep, referring all the way back to the second film in the series, 1981’s The Road Warrior, relating to the shaggy, post-apocalyptic urchin who Mel Gibson’s Max befriends. 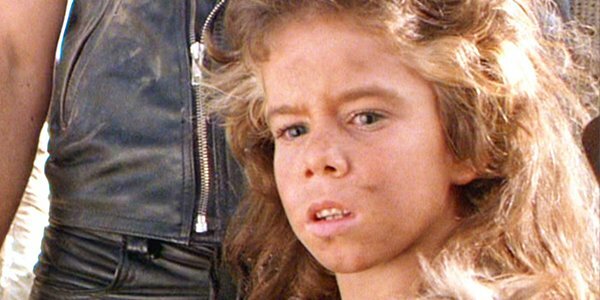 Played by Emil Minty, the character simply known as "The Feral Kid" (pictured below) was a grunting, primitive-looking mute who happened to possess some deadly, digit-slicing skills with a boomerang. He would end up bonding with Max during the course of the film as they were chased by marauders over "the precious juice" of fossil fuels. The theory implies that Hardy’s Max is actually a grown version of The Feral Kid. While that may seem concocted by conjecture, there are some key elements that give the idea substance. One of the most notable Easter Eggs seen in Fury Road was the small music box that was found in Max’s possession by one of Immortan Joe’s escaped wives. While it might simply be a basic shout-out to old-school fans, it is worth noting that in its appearance in The Road Warrior, Max actually gives the item to The Feral Kid, who we eventually learn grows up to be a tribe leader and the film’s narrator. Thus, the idea of Hardy’s Max actually having the item, might be the clue to his true identity and could imply that he takes on the Mad Max identity at some point before he gets older and leads his tribe. While there are plenty of nitpicky angles with which to pick that theory apart, it does raise some flags. However, additional ideas in the theory point to more subtle moments, like Max hesitating to answer when Charlize Theron’s Furiosa asks him his name, and the grunts and growls that he makes that could be seen as similar to The Feral Kid’s signature noises. There are also some theories which point to the film’s timing in the Mad Max canon, implying that Hardy’s Max being a younger man in his 30’s at this advanced point in the fuel-deprived apocalypse runs contrary to the original film, and could also be seen as a sign that this is a different Max. That being said, the films have always been vague regarding the timeline. This is certainly an intriguing theory; the kind that gives fans the itch to head back to theaters to re-watch Mad Max: Fury Road. In fact, it sounds similar to the time-tested theory involving the James Bond franchise. Explaining the cycle of actors that have played the role, the theory posits that James Bond is not so much one man, but a codename given by MI6 to several successive agents over the years. Certainly, the idea of going all the way back to The Road Warrior with The Feral Kid to explain Tom Hardy taking the Mad Max role from Mel Gibson gives Fury Road a more definitive sense of continuity. However, only George Miller can attest to its veracity.